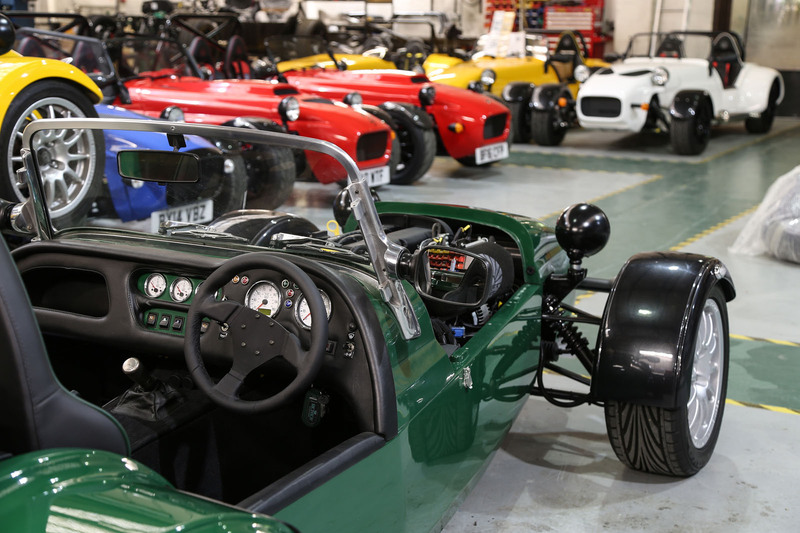 Out of a weather-worn industrial unit somewhere in the West Midlands, Westfield Sportscars ticks along quite nicely building kit cars that look a lot like Caterhams. But its customer base is getting older, demand for small lightweight sports cars is on the wane and, before too long, such cars are likely to be legislated out of existence anyway. It’s a bleak assessment but, for lots of people, it probably sounds about right. Managing director Julian Turner isn’t one of them. 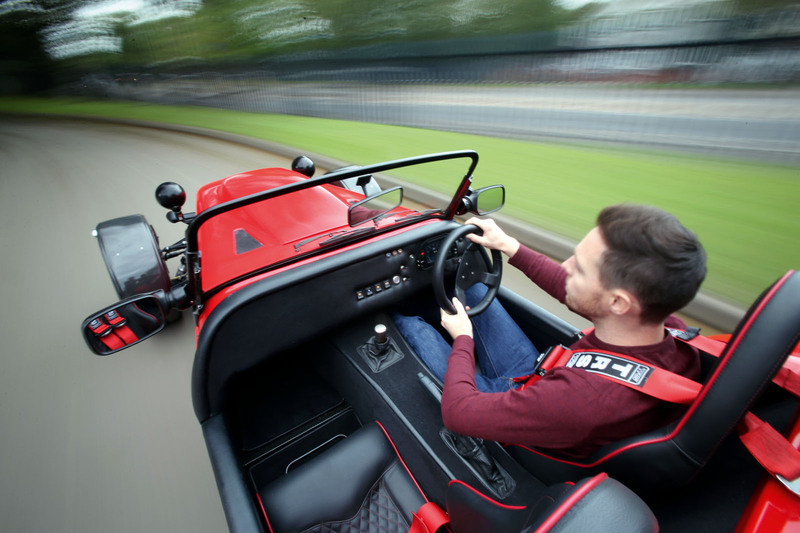 To him, Westfield is not some ill-fated, old-fashioned kit car maker but a booming technology company. If his vision for the family owned business comes to pass, you and I won’t think of Westfield as having both feet stuck hopelessly in the past for very much longer. The company’s model range consists of a Lotus Seven-style plastic-bodied sports car and the Lotus Eleven-inspired Westfield XI, which looks as though it took a wrong turn off the Mulsanne Straight in 1957. Westfield still builds a small number of XTR small prototype track cars too. Overall, the company produces about 150 cars each year, the majority of which are sold as kits. That probably doesn’t come as a surprise to you. What might do is that Westfield is developing a new mid-engined sports car, which will come in coupé and roadster bodystyles. It will weigh much less than 1000kg, cost about £30,000 and be offered with a choice of combustion engine, hybrid or full electric powertrains. Those powertrain options will be available in the rest of the line-up too. There are even more surprises. Westfield now builds autonomous battery-powered pods, the sort of self- driving shuttle that will apparently be taking over our city centres, business parks and university campuses in the near future. According to Turner, Westfield is a market leader in a sector that will be worth £925 billion by 2025. It has already sold £30 million-worth of the things, at £150,000 a pop, to the South Korean government. Clearly, there’s an awful lot for us to catch up on. The mid-engined sports car will be badged Westfield GTM, taking its name from the 50-year-old independent British firm previously acquired by Westfield. Production is due to begin in 2018, the car being based on a steel spaceframe chassis with double wishbone suspension. The combustion engine will be a Ford Ecoboost turbocharged four-cylinder, the same 252bhp unit that powers the Sport 250 Seven-alike. There will also be a full electric version, using batteries and a motor sourced from British companies, and it will have a 200-mile range. Westfield’s expansion has been rapid. Its head count has doubled to 46 in the past 12 months and Turner reckons it will double again in the next year. His workforce will need to grow if the company is to hit his target of building 100 autonomous pods in 2018. Manufactured in the same factory as the sports cars, the pods are tall, narrow, closed-wheel machines that can seat six. They travel at speeds of up to 20mph and run for eight hours on a single charge. Why self-driving pods? Aside from the sheer size of the market, the technology crossover between lightweight sports cars and autonomous pods is actually quite striking. 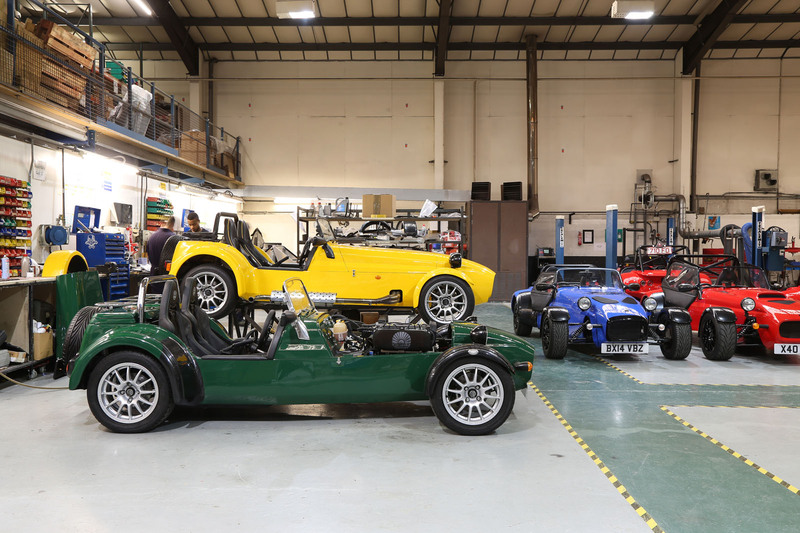 Turner points out that both use spaceframe chassis with double wishbone suspension and plastic bodies, all of which his company is very well versed in. And the same autonomous and battery technologies could soon work across both types of vehicle. Using autonomous systems developed by Bristol-based Fusion Processing, Westfield’s pods are on trial across the country. They’re being used in Greenwich to connect the train station to the water taxi and on the University of the West of England campus. 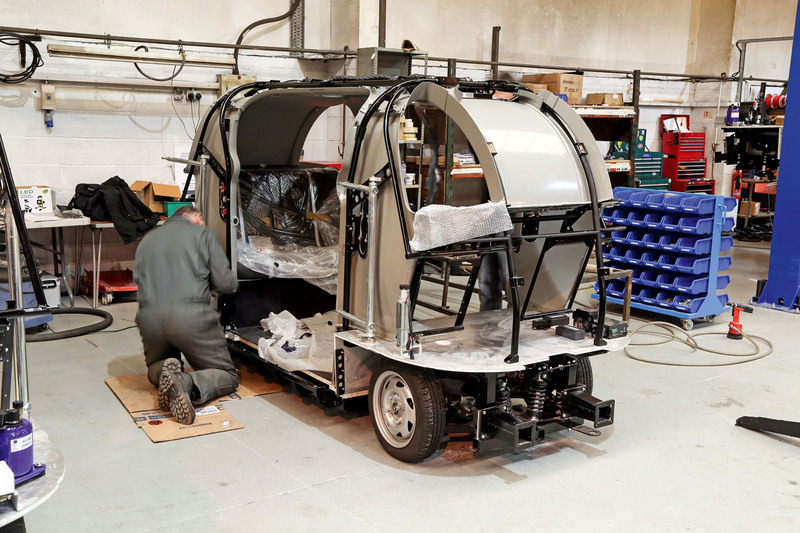 So far, the pods are only licensed for use in controlled environments, but Westfield is working with the British government to write a new classification for such vehicles to allow them on public roads. “Right now, the pod is for connecting different modes of transport – it’s for last-mile transportation, moving goods around, doing stuff airside at airports and so on,” explains Turner. “But look at the fines Transport for London is getting because air pollution is 40 times over the legal limit. Birmingham [City Council] is being threatened with a £60m fine because [the city is] so far over the limit.” For cities to meet air-quality targets, he says, they’re going to have to restrict combustion engine vehicles and that’s when the pods could come into their own. “The British sports car scene is in a good state,” he says, “but there are a hell of a lot of concerns at the moment: concerns about future legislation on traction control, airbags, emissions and so on, and concerns about Brexit too. “We’ve got to do stuff quickly to stay in the game. Compared with our competitors, we’re well ahead. We’ve already got 15 years of electric and hybrid capability and now we’ve got autonomous capability too. Right now, our bottom line is growing, but we’re also investing a heck of a lot of money in new technology.” It all sounds impossibly promising. Turner says his potential order book for Westfield’s pods stands at £200m, a sum the company could hardly have dreamed of when it built sports cars alone. But what’s really encouraging for Autocar readers is that Westfield isn’t simply abandoning its roots and building money-spinning robotic people-movers. By investing in hybrid and electric drivetrains, Westfield is helping to secure the future of the lightweight sports car too. Turner and his team talk a good game and paint a distinctly rosy picture for the future of Westfield. As ever, though, it isn’t the promise that counts but the delivery. Fantastic to hear they are so buoyant. I wish them every success. It would nice if any government official were reading this, and could help them, as this is the type of company that will provide much-needed manufacturing. And god, we need to make stuff! they were talking about a new gtm after they killed off the old ones, roughly 10 years ago. I always thought that the GTM/Libra was a nice compact little coupe and it was what the MGF should have been. keeping my fingers crossed 4 you! The whole unique selling point of the later GTM’s was the very clever GRP tub , fitting a cheap and cheerful space frame to a Libra would be heresy . Paddy Fitch and Peter Beck were unsung hero’s of small volume automotive design and manufacture . They didn’t do the journalist chat as well as they should sadly . Not the Libra again surely? I really hope this 'new' sports car they're talking about isn't that bl**dy Libra again. It looked rubbish when it first came out and is just embarassing these days to call it new. Whilst I wish them every success but "It has already sold £30 million-worth of the things, at £150,000 a pop, to the South Korean government" well the actual story was they sold 5 with an OPTION for another 195.